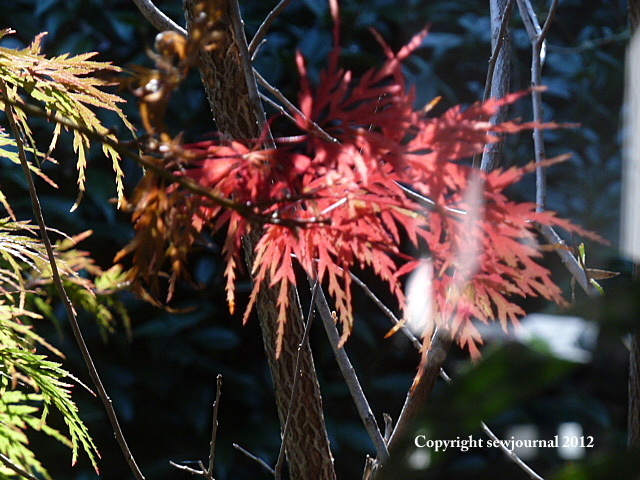 Today as the sun was shining on the leaves of my Japanese Maple tree I was struck how beautiful the colours were. The leaves seemed to glow from inside somehow. I got to thinking about using the colours of nature in quilts. 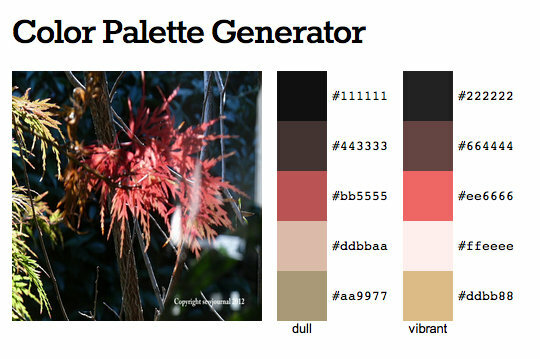 There are many palette generators on the web and so I thought I’d try a few using the photograph below. It’s interesting to see how different they can be. I’ve given the links to the sites I used so have play with some of your photos and see if you find inspiration. Of the three I used I think my favourite is Palettefx.com as it gives more subtlety to the palette. For instance it shows four greens whereas BigHugeLabs.com uses only one and the DeGraeve.com palette generator doesn’t come up with any at all. If you have a play let me know how you go with it.